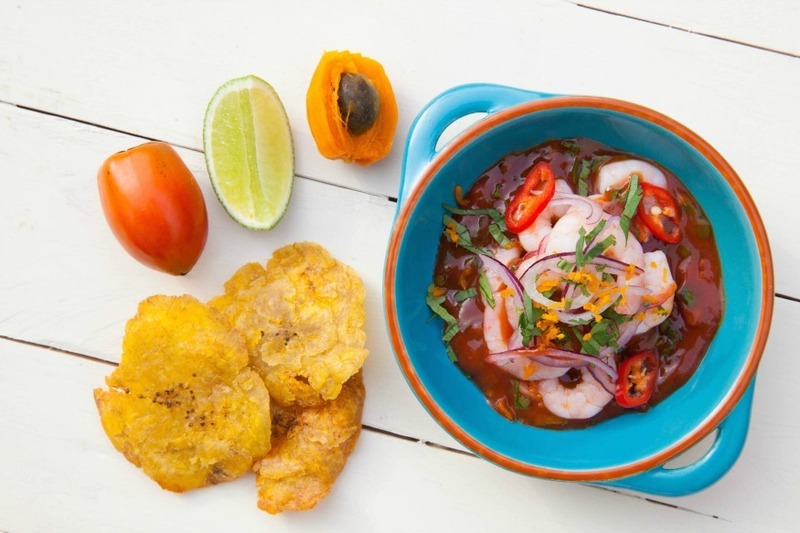 Ceviche from Columbian Street Kitchen which will open at Green Rooms this month. Sam and Sam Clark of Moro and Morito in Exmouth Market are to open a third restaurant in Hackney. Southern Spanish, North African and Eastern Mediterranean flavours will influence the menu, with a new emphasis on Cretan flavours, from head chef Marianna Leivaditak, who grew up in Crete. Dishes will include aubergine manti with yoghurt and pistachios, homemade halloumi with pickled za’atar and kid mechoui with goats' curd, preserved lemon and harissa. Morito, 195 Hackney Road, E2. Opens: Wednesday 11 May. The original Morito in Exmouth Market will also be hosting sherry feasts from mid-May until mid-June. A six-course menu with matching sherries will be served on Sunday evenings and will meld the flavours of tomato and anchovy toasts with the briny breezes of Manzanilla, confit tuna and sweet onions with Fino, and the sweet, intense raisin nectar of Pedro Ximenez with Malaga raisin ice cream. Morito, 32 Exmouth Market, EC1R 4QE. Sittings at 5pm and 7.30pm. Shaftesbury Avenue was once a total dead zone for restaurants, but things are looking up. Talli Joe is a new all-day Indian cafe inspired by the dive bars of India, and will serve a range of "half plate portions" (yes it's those small sharing plates again), and Indian inspired cocktails. Expect dishes like tandoori guinea fowl, naan stuffed with cottage cheese, brushed with truffle ghee and cocktails packed with mango puree. There is, you'll be relieved to hear, a drink called the Talli Ho, made with whisky, beer syrup, orange bitters, lime and soda. Talli Joe, 152-156 Shaftesbury Avenue, WC2H 8HL. Opens: Wednesday 4 May. 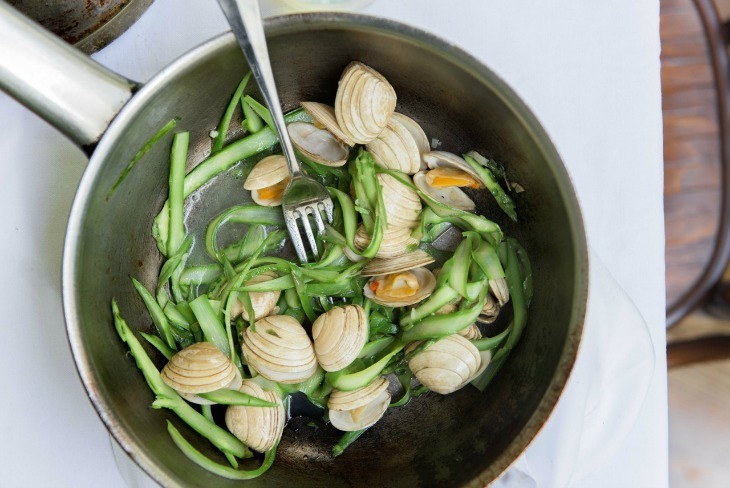 Asparagus with clams at Morito Hackney Road. Photo: Issy Croker. Tom Sellers is the chef behind the very popular Restaurant Story, famous for its appetiser of a slowly melting candle made from beef dripping. This second restaurant will serve British and European seasonal food in rather dramatic surroundings — apparently the restaurant will "feature a large and dramatic open interior space that will be punctuated by three enormous trees and ceiling heights up to 10 metres". Restaurant Ours, 264 Brompton Road, London SW3 2AS. Opens: 19 May 2016 for dinner and 6 June for lunch and dinner. New hotel Green Rooms will open a restaurant based around a mentorship scheme. Up and coming restaurateurs will each take a six month residency at the restaurant, starting with Esteban Arbodela from Colombian Street Kitchen, going on to feature other cooks who may have had a successful street food truck or pop-up. One of the mentors will be Johnny Smith, co-founder of the excellent (Michelin starred) Clove Club, so it looks like an exciting opportunity for both the chefs and our bellies. Green Rooms, 13-27 Station Road, Wood Green, n22 6UW. Opens: 20 May. 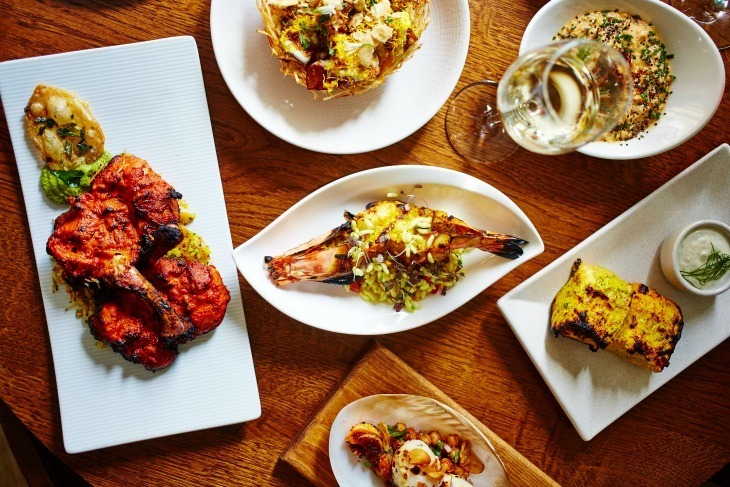 Michelin-starred Indian restaurant Trishna will be hosting a series of regional dinners from 10 May through to September. It isn't cheap at £120, but it is going to be excellent. At the first event guests will experience the flavours of Goa and its famous seafood dishes. The final event, A Taste of Bombay, will take place on 20 September — an exciting feast of classic dishes from the diverse city of Mumbai, including favourites such as bhaji, puris and idlis. Trishna, 15-17 Blandford Street, W1U 3DG. Tuesday 10 May: A Taste of Goa, Tuesday 20 September: A Taste of Bombay. Trishna serves some of the best Indian food in London - at a price. Burgerac is run by blogger turned expert burger flipper Gavin Lucas and we love his burgers for their mix of high quality ingredients, spot on technique and touch of nostalgia. 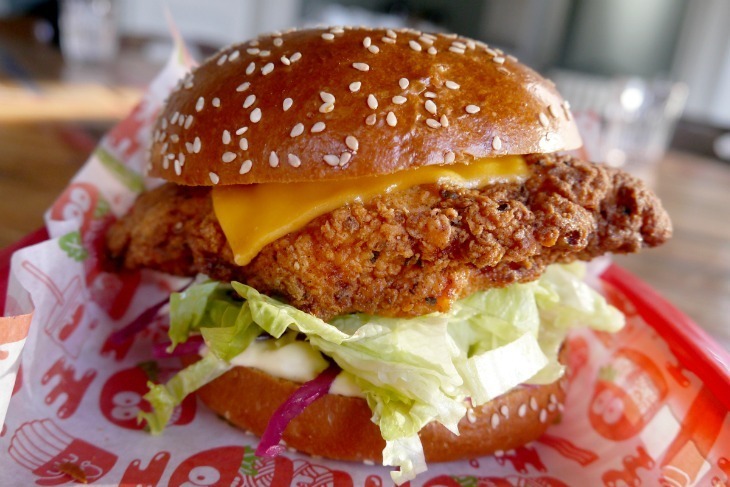 After a successful residency at The Royal Oak in Marylebone, he’s expanding to The Social (W1) with his range of core burgers and sides and off-menu specials.We love his fried chicken burger (fried in lard), and the excellent cheeseburger with American cheese. Burgerac at The Social, 5 Little Portland St, W1W 7JD. Opens: Tuesday 3 May. Barrio is inviting chefs, street vendors and brands to take part in their Taco Takeover during May, collaborating with a different foodie each month. Participating cooks will include Zoe’s Ghana Kitchen, Texas Joe’s, Mussel Men and Levi Roots, who will each create a special taco served throughout the month. The takeover begins with The Roadery who have created The British and Wild Braco (British taco) with braised lamb belly, wild nettle salsa verde, cucumber and tomato salsa and apricot hot sauce. Barrio Soho, 6 Poland Street, W1F 8PS. Barrio Shoreditch, 141-143 Shoreditch High Street, E1 6JE. Starts: Wednesday 4 May. The roof of Television Centre in White City will be transformed into a roof terrace this summer, welcoming award-winning tapas restaurant Salt Yard, European rotisserie Le Coq, Chelsea’s wild and foraged food restaurant Rabbit and burger experts Patty and Bun. The 14-week residency will see diners enjoy their food underneath a canopy of hanging foliage, 170ft above ground level. There will also be plenty of summer-inspired drinks. Pergola on The Roof, Television Centre, Multi-storey Car Park, Wood Lane, W12 7RJ. Open: 26 May-28 August. Carousel is a hub for guest chefs to show their talent with a rotating series of dinners. The 50-cover space showcases a different chef every fortnight or so, each working with the Carousel team to create a unique, multi-course tasting menu. From 5-19 May Leandro Perreira (previously at Noma for five years) returns to the flavours of his homeland with a menu that “reflects the nature of the Portuguese people, its terroir and its sea”. Soon to open his first restaurant in Lisbon, Leandro will use his fortnight at Carousel to showcase the very best of Portuguese cuisine with dishes such as bacalao, avocado and pickled orange blossom; eel, grilled tomato and black garlic and a dessert of nespoli, beeswax and pollen. Leandro Pereira at Carousel open 5-19 May. Set menu of four courses at £37.50 per person. This Scandinavian pop-up restaurant will have a “fresh take on curing salmon”. The curing method is based around the origins of curing, when fishermen would cure their salmon by burying it above the high-tide line to create gravlax — the name gräva means ‘to dig, bury’ and lax means ‘salmon’. 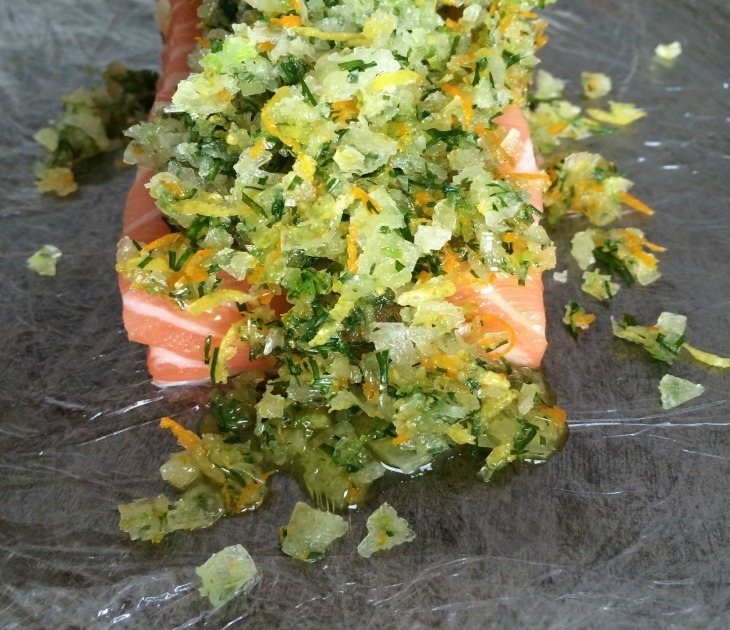 The salmon at Gravlax London is ‘buried' in five different marinades that are created using different spirits. To be honest, we’re struggling to see how this is different from just good old marinating but will give them the benefit of the doubt since the menu sounds fantastic, with flavours based around gin, vodka, tequila, whisky and rum. There will also be a drawing room with a full sized polar bear, a butterfly room and an animal room. Oh and all the proceeds will go to Raise Your Hands, the community that supports small UK children’s charities. The King’s Head, 257 Kingsland Road, E2 8AS. Tickets here. Gravlax London uses booze as the base of the cure. Borough Market will be filled with foods from Zurich this May with artisan producers, pop-up food stalls and Dada-inspired gala dinners prepared by Fabian Spiquel of Zurich’s Michelin starred Maison Manesse. Highlights of the festival will include a miniature Swiss village of stalls serving a selection of local specialities like Züri-honey; Zurich’s favourite sausage, the Cervelat; Tirggel biscuits; zesty Turicum Gin; handmade pralines from chocolatier Taucherl and music from DJs and live acts. When: 17-21 May. To book the gala dinners or request more information e-mail zurichmeetslondon@gmail.com.